Dr. Jayanta Debnath received her medical diploma from Harvard Medical School and completed his residency program at the Brigham and Women's Hospital. He is specialized in pathology and board certified in general pathology. 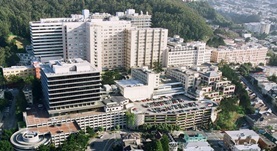 Dr. Debnath has been in practice for more than 11 years and is affiliated with UCSF Medical Center. During his career, he has also contributed to 30 publications of medical interest. Dr. Jayanta Debnath has contributed to 3 publications. Kenific, C. M.,Stehbens, S. J.,Goldsmith, J.,Leidal, A. M.,Faure, N.,Ye, J.,Wittmann, T.,Debnath, J.; J. Cell Biol.. 2016 Feb 24. Kimmey, J. M.,Huynh, J. P.,Weiss, L. A.,Park, S.,Kambal, A.,Debnath, J.,Virgin, H. W.,Stallings, C. L.; Nature. 2015 Dec 10. Kaur J Debnath J; Nat Rev Mol Cell Biol. 2015 Jul 15 .